The year 2014 was in play for the last weekend at the Winter Olympics in Sochi, Russia. While much of the attention was on men’s ice hockey, many Armenian Americans followed the four-member Team Armenia. With thoughts of Gold, Silver and Bronze, each competitor hoped to capture and write his and her name in the record books. As we think of the XXII Olympiad, we can point to a breakthrough competitor, Katya Galystyan who trail-blazed through this year’s cross-country event-the 10K. Born in 1993, on the first of January, Galystyan is the only woman to represent Armenia at the Sochi games. She placed 64th out of 76 competitors. Another bright star is Armenian-American Arman Serabrakian. A dual citizen and second year medical student at Temple University in Pennsylvania, Serebrakian had the support of his fellow Armenian and American compatriots. “This is truly one of the best moments of my life, and I am happy to share it with my Temple family,” he said according to a university announcement. Arman is Armenia’s top ranked alpine skier. While an undergraduate student at the University of Colorado, he achieved four top-10 NCAA finishes. But getting to Sochi wasn’t easy. Online fundraisers were held by his supporters through friends of the Armenian General Benevolent Union (AGBU), to help cover his trip and other expenses. FLArmenians was proud to contribute a nominal sum to assist the young Serabrakian achieve his life-long dream of being an Olympian. He competed in men’s giant slalom, the high-speed roller coaster of skiing. Clocks have long held speeds of 70-90 MPH in the downhill. Arman’s placement of 54 and 42, combined for 46th place overall, and took 2-hour heats on three different runs, totaling approximately 6+/- hours in competition. Then, as the Olympics came to a close, Arman received some exciting news. “Holy moly…I will be FLAG BEARER for the closing ceremony tonight. Wow what an honor!” he wrote on his Facebook page. Olympian Sergey Mikayelyan raced through the men’s skiathlon and wound up on the other end as the number 46 pacer. With his six-days-a-week training sessions and only 21 years old, he has shown these Winter Games that he is a skier to be reckoned with now and in years to come. 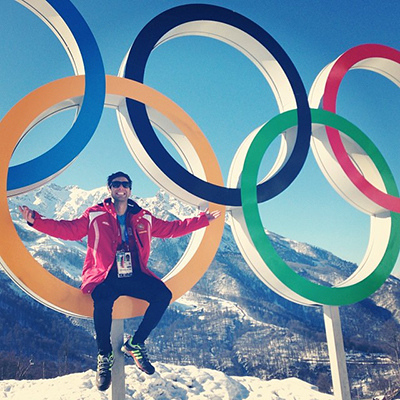 Sochi was Mikayelyan’s second Olympic experience, as he participated in the last Winter Olympics in Vancouver, British Colombia at the tender age of 17. The fourth Olympian from Armenia is Artur Yeghoyan. At 23, he has a fruitful career ahead of him. Cross-country is one of the races he competes in, along with the 15K and men’s skiathlon. In addition, Yerevan got some extra attention during these Olympics. Given its proximity to Sochi, the Japanese women’s figure skating team apparently chose to practice in the Armenian capital, according to the Wall Street Journal. 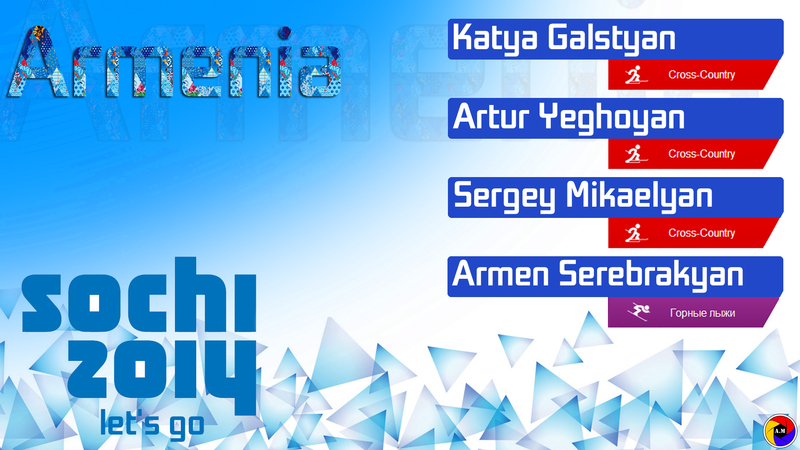 Although team Armenian did not win any medals in the 2014 Winter Games they represented their country well. 1994 was the year Armenians popped the cork, realizing they were on the grand stage of the Olympics. History tells us that the Summer Games have been more productive than the Winter events for the tiny republic in the South Caucasus. Since 1996’s summer games in Atlanta, the colors of red, blue and orange have earned 12 medals; nine bronze, two silver and one gold.